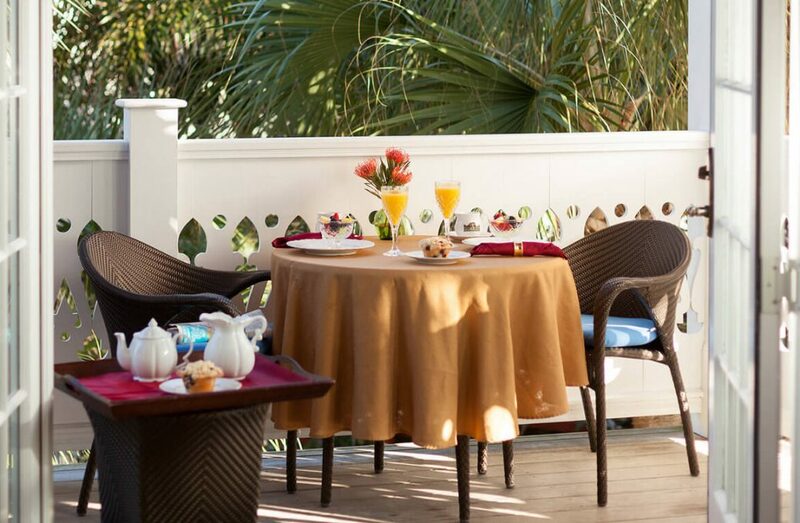 An extraordinarily private retreat at our Melbourne Beach inn, with both partial ocean and courtyard views. Feel truly relaxed as you lounge on the king-sized bamboo bed with down duvet and fluffy pillows. 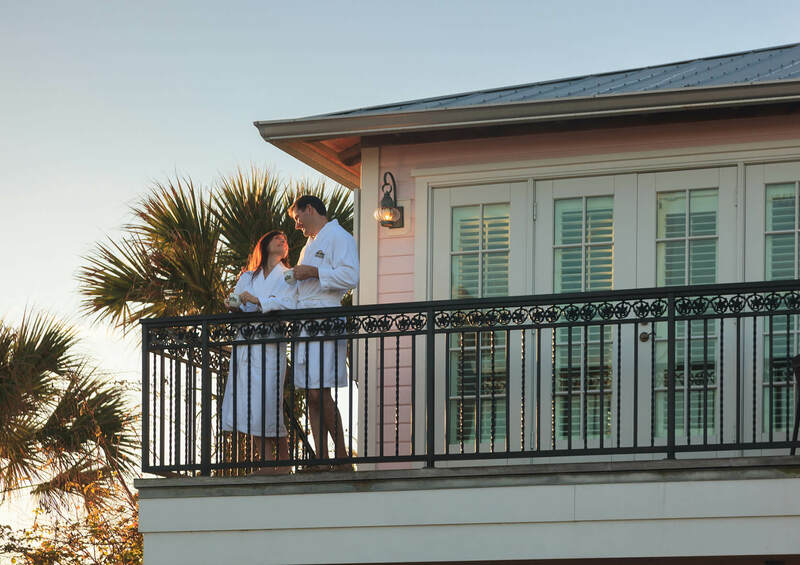 Double sets of French doors, woods floors and a private porch add an air of elegance to this romantic Florida getaway. Indulge in the large bathroom with corner Jacuzzi tub for two and separate shower. Interior Space: 525 sq. ft. Exterior Space: 100 sq. ft. 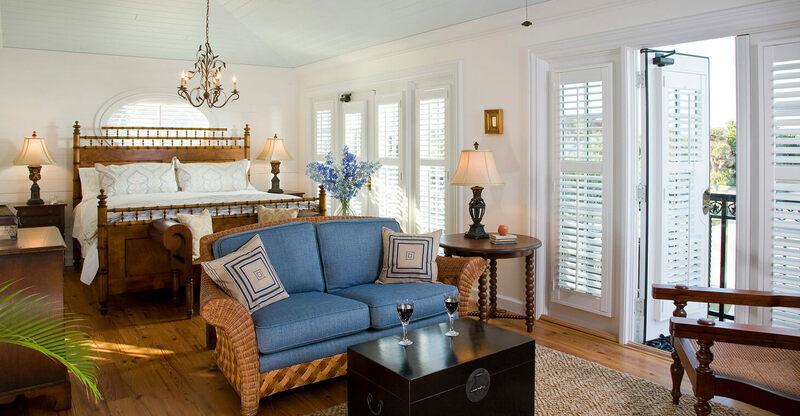 The Carriage House is the most luxurious ocean view accommodation, with a king-size bamboo bed, sitting area, corner spa tub for two, separate shower and flat screen TVs in both the bedroom and bath and Bose sound dock.